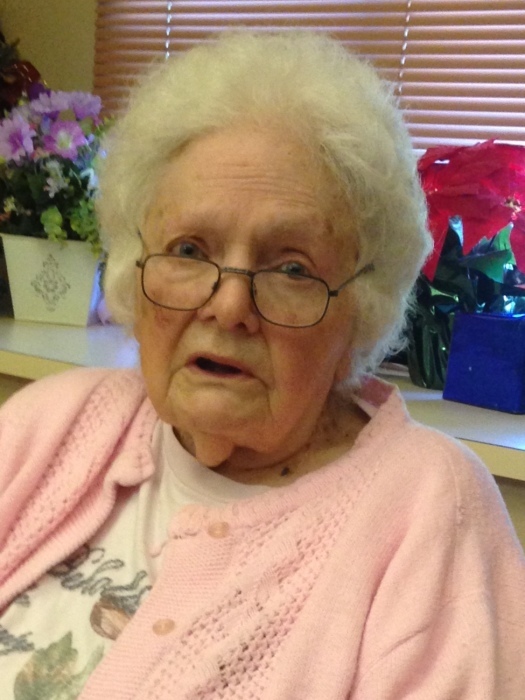 Irene Helen Fox, 95, formerly of Billings, died peacefully on Monday April 8, 2019 at the Eastern Montana Veteran's Home in Glendive. Irene was born December 29, 1923, to George and Katharina (Kraemer) Hebner in Fresno, California. The small family moved to Billings around 1938, and set-up their home on Boulder Avenue, which was outside of the city limits at that time. She married Herman Fox in Laurel on February 23, 1941. After Herman returned from serving in the United States Army WWII, the young couple built their home on Boulder Avenue across the street from Irene's parents. By 1959, Irene and George added three children to their home, Herman Richard, Mary Elizabeth and Victoria Susan. Irene was a stay-at-home mother most of her life. For a short time, she worked at Snappy Food Store. Following the construction of the Boulder Avenue grade school, Irene provided day-care in the family home for several years. Irene enjoyed cooking, proud of the fact no visitor left her home hungry! She enjoyed sewing, crocheting and creating many textile treasures. Irene cherished helping to raise her grandchildren and loved to grow all varieties of flowers. She even seemed to like stuffing sausage casings at the numerous wild game processing events. Left to cherish Irene's memory are her children Herman Richard Fox, Mary Elizabeth (Jon) Mill, and Vicki Fox; grandchildren Danielle Cook, Katie Hauer and Holly Chouinard; great-grandchildren Abby and Brooke Hauer, Gallatin and Jackson Cook and Isabella Chouinard. Irene was preceded in death by her parents and her husband Herman. Funeral Services will be 10:00 am Saturday April 13, 2019 at Remington Chapel with interment at Laurel Cemetery. Irene's family would like to offer their heartfelt thanks and appreciation to the staff of the Eastern Montana Veteran's Home for the wonderful care Irene received during her last years.